Massive Attack don’t release music often — it’s been nearly six years since their last album Heligoland— but when they do, we make sure to pay attention. 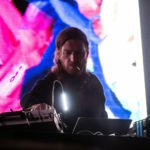 In their typical forward-thinking fashion, the British trip hop legends have teased their next project by way of an innovative new app called Fantom. Described as a ‘Sensory Remixer,’ the app performs fragments of the group’s new songs by tracking one’s movement, heartbeat, and the time of day. It should be noted that the pulse-sensitive heartbeat function is only available for users with an Apple Watch. 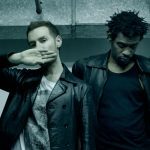 Massive Attack have unveiled four new tracks through the app, though none of the songs are available to stream unaltered all the way through at the moment. Rather, the group have seemingly taken a more populist approach, putting the creative emphasis on the user and allowing fans to put their own mark on the group’s new songs. In effect, it allows each person to have their own unique remix, based upon their precise location, movements, and heartbeat. Furthermore, remixes can be shared socially as videos. As of present time, the app is only available for iPhone users. Fantom is available from the app store now.